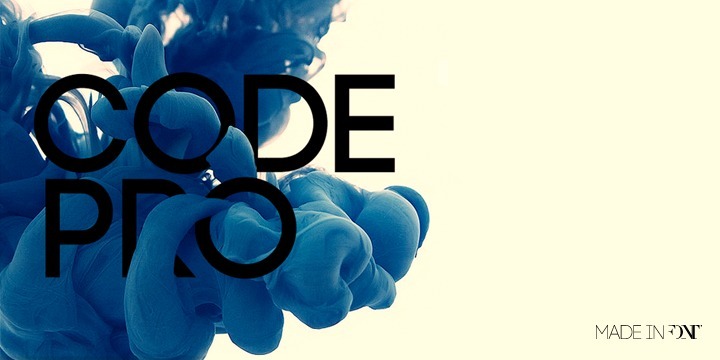 Code Pro is genuinely a font family inspired by the original Sans Serif fonts such as Avant Garde or Futura. However, the inspired version holds a fresh contemporary twist to it. The marvellous typeface is clean, graceful and straight-to-the-point. Code font is appropriate for almost all types of graphic design, print graphics, web texts, motion graphics, etc. The typeface is perfect for t-shirts as well as various other items like posters and logos.